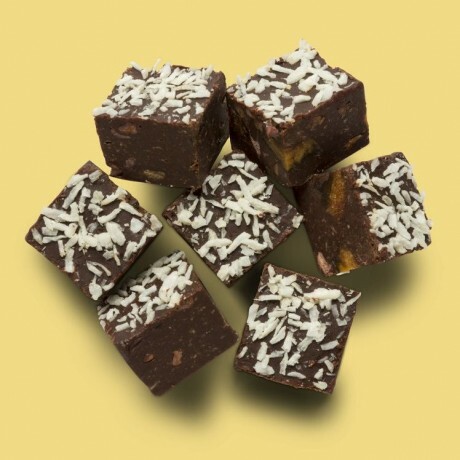 Enjoy many layers of both texture and taste in these delicious bites which combine rich raw chocolate with sweet banana and flaky coconut pieces. Each raw banana & coconut chocolate bite is a wonderful taste of the tropics. 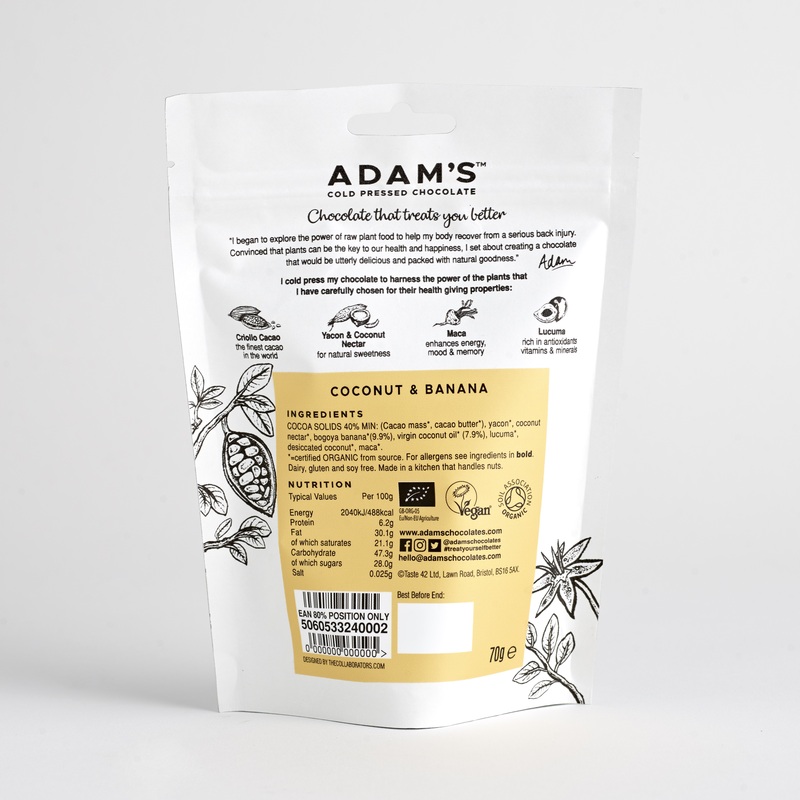 The raw chocolate is handcrafted by delicately cold-pressing Criollo Cacao - known as the World’s finest cacao, only 10% of chocolate is made with this amazing bean. Comes as a pack of 4 pouches by default, but a 1-pouch taster pack can be selected with the options instead. Each pouch is 82g, and contains 8 raw chocolate bites. Made using raw, organic ingredients. Vegan and free from dairy, soy, gluten and refined sugars. 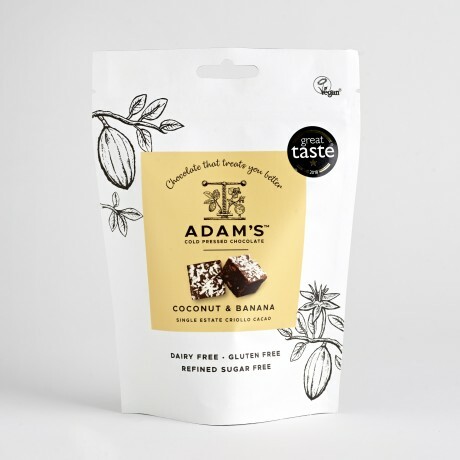 Adam's Chocolates have spent a remarkable amount of time in pursuit of chocolate perfection. From the beautiful Welsh Hills to the agriculture of South American mountains, they have sourced exotic and rare ingredients with ethical means, and applied them with sophisticated methods, all to achieve the seemingly impossible; to create raw, completely organic chocolate that exhilarates and satisfies both mind and body. 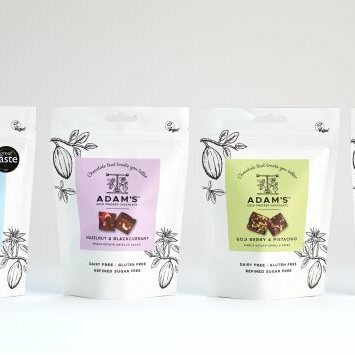 They craft their chocolate under 42 degrees to retain the health benefits and taste of the organic beans they source, then add superfoods to create delicious and distinct blends. Shelf life: minimum 6 months. Best kept chilled and eaten at room temperature. Made in a kitchen that handles nuts. These are extremely satisfying to eat and very nourishing for mind and body - love the marketing where the cacao is derived from very evocative - for people like me who changed to only eating healthy chocolate then these are a great swap for the unhealthy options people worship which have no nutritional values in them. Adam's chocolate is full of nutrition and sharing these around a great deal healthier also. Only issue is I am not a fan of Maca but only small issue they are richly healthily indulgent for a very pleasant Cacao taste. Organic, cold-pressed and finely crafted chocolate that satisfies your mind and body.